Welcome to fun, exciting and plentiful year 2018! Cary Car Care has set goals and made resolutions to celebrate the new year! We are looking forward and preparing for 2018. 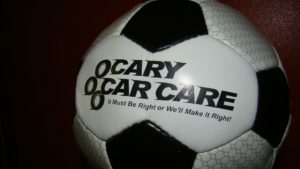 What are Cary Car Care’s goals? What are we trying to change? As always, we’re looking to better ourselves and our community! 1. Our first of three main goals is to better the client experience! Specifically, we plan on increasing space in our waiting area this year with renovations. At the same time, we’ll give our service managers an office that will help keep distractions and noises to a minimum as well as build an inventory space that will decrease parts bottlenecks. The waiting room we’ve had for 28 years has offered nothing but warmth and friendliness to our clients. The tires were taken down 2.5 years ago to create more space and now it is time for the next step! 2. Our second of three main goals is to reach over 100 reviews on Google. We currently have 71 reviews with a 4.5 star rating! We’re extremely proud of that achievement and want to continue to grow our rating. We simply provide outstanding client services with excellent experiences to ensure our clients are happy and satisfied. We hope you’ll help by going to Google and leaving us a 5-star review! 3. Our third of three main goals is to continue to give back to the community. We service at least one vehicle a month for Wheels for Hope, we participate and are a sponsor of the Meg’s Smile annual golf tournament, we volunteer with Boy Scouts, the Taylor YMCA, and other local organizations. 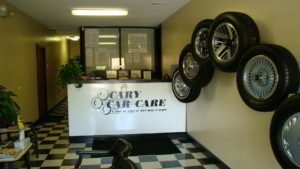 We want our team to continue to be involved as will Cary Car Care as a business. The community we serve everyday is so important and we want to support it as it supports us. We appreciate your loyalty and goodwill throughout the new year! Let’s hit our goals together! What are your new year resolutions?